This illustrated work traces the evolution of the car engine from the first crude efforts of the late-19th-century pioneers through to the cutting-edge technology of today. From "wick" carburettors to common-rail diesel injection, from "atmospheric" valves to variable valve timing, the clearly written text explores each decade of development, describing the significant milestones and illustrating them with examples of appropriate ground-breaking "classic" engines. 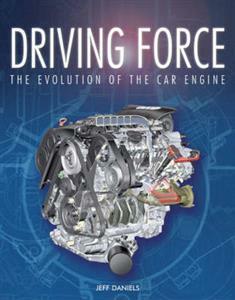 The book should appeal to car owners and enthusiasts keen to learn more about how and why engines have evolved into today's highly sophisticated units.